Lizzie Villadsen’s quilt ready to be quilted. 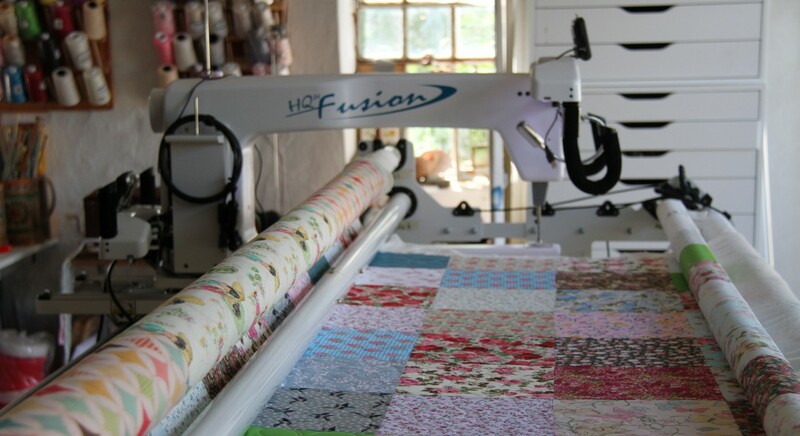 Lizzies wanted a feather meander border and was happy to leave the rest of the quilting ideas to me, I am so in awe of the workmanship in theis quilt its mainly hand stitched and decided that the quilting would have to enhance the quilt and not take over. It took me 5 full working days to compleate the quilt, first quilting in the ditch then I had lots of fun quilting the indivifual blocks. I added a soft feather design to the flying goose border and feather meandered around the amazing hexagon flowers on the outer border. check out her links below.